Over the past few months we have had the awesome opportunity to shoot at plates from 3 different companies. Each one had different results, some were what I would consider devastating, while others were extremely impressive. When we started this journey I knew zilch about body armor, and had never even seen a plate in person. Thankfully there were some companies who were willing to help us out in our endevour to learn more. The first plates that we had the opportunity to shoot were the EnGarde Body armor plates, they sent us a level III dyneema plate and a level IV ceramic armor plate to shoot and abuse as we saw fit. We did just that, if you watch the video we posted you can see that we shot them with multiple rounds from multiple calibers. Both performed amazingly. I was told multiple times how fragile the ceramic plates are and how they don’t work beyond the abuse of a few rounds, but our findings were a bit different. At 25 yards we shot the ceramic plate so many times that there was hardly any of the ceramic left intact, but not a single of the rounds we put into it defeated the plate. The only round we were unable to procure were 30-06 AP rounds, and that’s due to state laws. 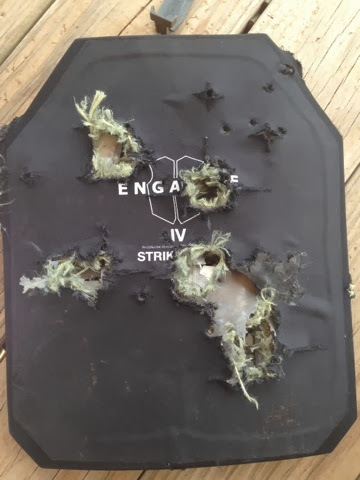 With the level III plate we literally shot it until it had split in half after being hit with a 7.62x54R and even then it still stopped a .308 round and 5.56 XM193 and XM855 rounds. The next plates we shot were the Infidel Body armor plates. What I found the most interesting about these was the fact that there were so many hyped up videos and reviews about the plates, so we figured they would perform well. However they did not, we were able to defeat 2 of the plates that they had sent for testing. 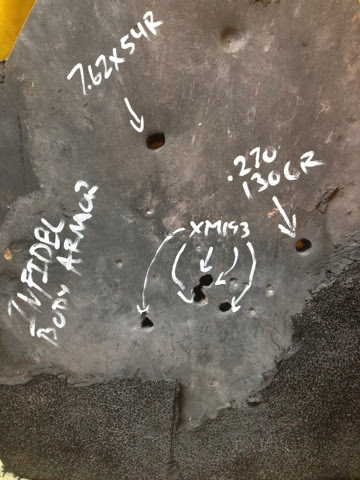 We used common hunting rounds, some XM193 and XM855 rounds, and were able to punch clean holes through the plates. Not quite what I would call confidence building. Add the fact that these plates are HEAVY, the anti spalling isn’t as good as other companies, and they are made of target steel, they are not something I would ever put my life on the line with. 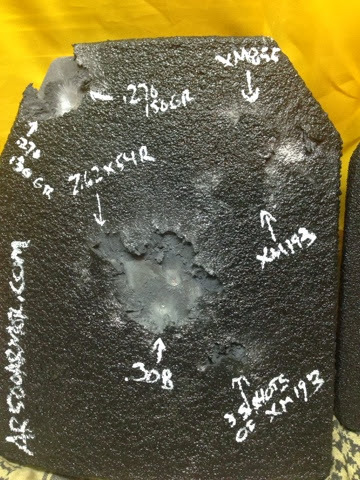 Lastly we had the opportunity to test and shoot the AR500Armor.com plates. 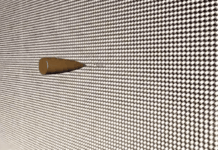 These performed leaps and bounds above the IBA armor plates, and we are still using it as a dinger target for the range to this date. It was hit with multiple calibers and multiple rounds and still hasn’t failed. However this plate suffers the same flaw as the IBA plate when it comes to the weight, it is very heavy and makes for a very heavy setup in a plate carrier. Also a down side to using steel and antispalling is that after multiple shots the coating peeled away allowing tons of shrapnel to escape, which would lead to some pretty nasty injuries. What I have learned is that while AR500 plates are on the less expensive side and will stand up to multiple rounds they are still not a replacement for proper body armor without some sort of trauma pad or soft body armor to go under them. There is this strange phenomenon I have come across during research and asking questions on the page. People prefer armor plates with multiple hit capability, and therefore tend to lean towards the steel plates since it is said that ceramic armor plates are only good for 6 hits. People are apparently concerned that they would get hit multiple times in their armor plates and therefore they need a plate that can stand up to that. Again think about that logic. You aren’t going to be standing in one place if you are being shot at, and if you get hit once you better be moving right after that. Also depending on the size of the round the plate is hit with the kinetic energy that is transferred from the round striking will cause internal injuries, and quite possibly death. Even though the plate stops a round does not mean that it stops the transfer of energy, it has to go somewhere. 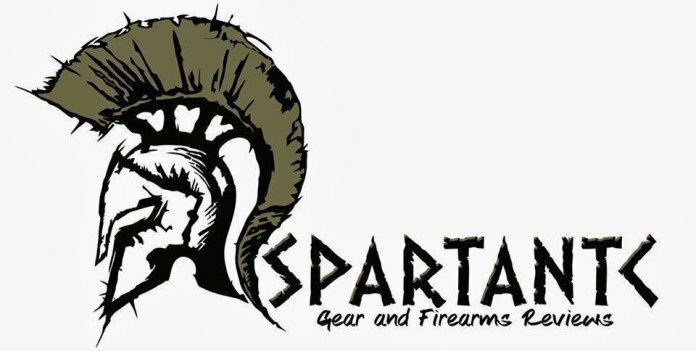 [The day after I started writing this post AR500Armor.com released the information about their newest item. It is a trauma plate to go between your body and your armor plate, in theory this should assist in disbursing the kinetic energy from the armor plate taking a round. This would make their plates a more feasible option for those who still want to go with steel amor. 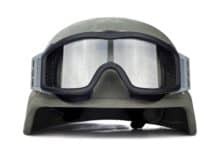 The biggest thing that I can stress the most is that you need to do your research before purchasing body armor. Don’t buy into the hype that many of the newer companies are putting out there. Don’t skimp on something you are purchasing to possibly save your life some day. Also, if you feel that the weight of the plates combined with your carrier and other items attached to your carrier are too heavy, figure out where to trim the weight. Be it lighter armor plates, less tacticool gear, etc. DO NOT buy into the stupid saying of “If it’s too heavy just train with it more often.” or “Just get in better shape.” The human body can endure a lot, but that does not mean that you should overload yourself. Again your plates, carrier, and gear are meant to save your life not cause you to become overworked, fatigued, and an easy target. There are many more things I could talk about but for now I will leave this post where it is at.